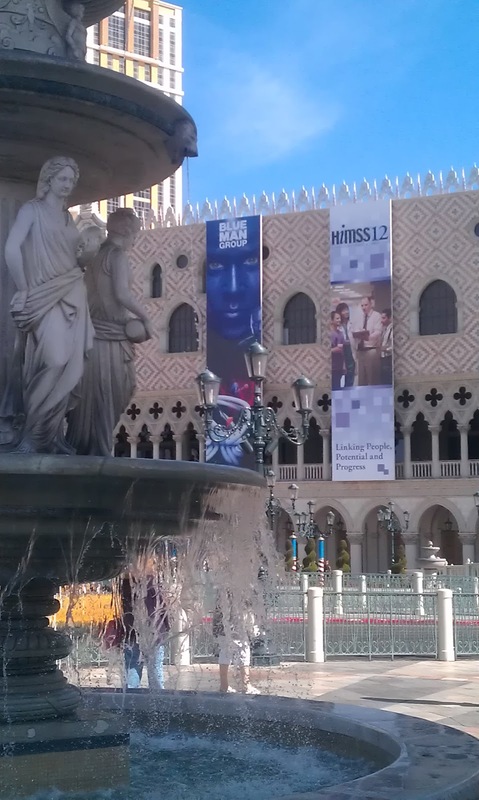 OTech: HIMSS2012: The Blue Man’s Group or yet another IHE Showcase? HIMSS2012: The Blue Man’s Group or yet another IHE Showcase? Decisions, decisions: should I go to a vendor reception, or attend a show? Should I lose a couple more quarters in a slot machine, or attend an important lecture? Should I spend a few dollars at the casino with a chance to win a brand new car, or collect some more give-aways from vendors at their booths? There sure are plenty of distractions when a trade show is held in Vegas. One cannot get to the conference without passing through many slot machines surrounded by a lot of cigarette- and cigar- smoking gamblers. The good news is that, if you actually show up for a presentation, you automatically earn recognition for not being weak of heart and for being really motivated to be there. 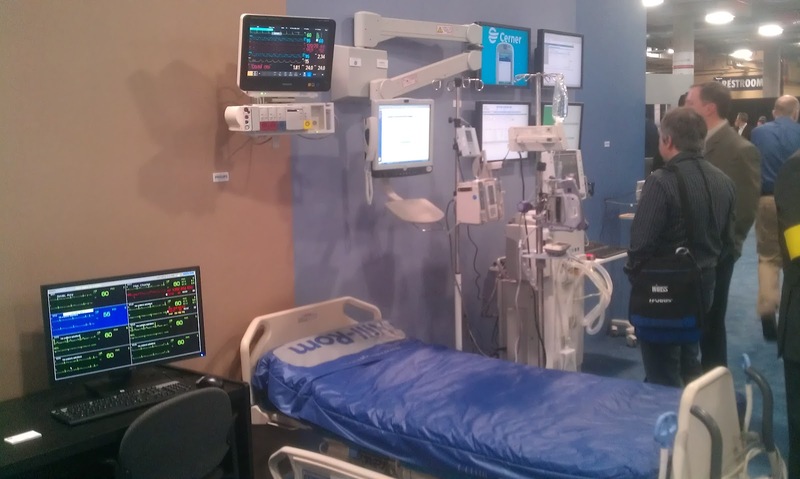 One of the best parts of HIMSS is the so-called IHE connectivity showcases. It allows one to peek a little bit into the future and see how it could potentially work, assuming all vendors start to implement these profiles defined by IHE, which are based on open standards such as DICOM and HL7. It is almost a repeat of the connectathon in early January (see ….) where hundreds of engineers test their interconnectivity with each other in a test environment. However, this demonstration puts real use cases to the test and the vendors put their best efforts forward to demonstrate their systems in a real-world environment. One of my favorite use cases is the Transitions of Care Demonstration. Its core is a traditional scheduled workflow profile for radiology whereby an order is placed, exam is conducted and a report is generated, but then the demonstration is extended to before and after this event to show how many organizations can hand off the information in a standard manner. It spans three domains, the Patient Care Coordination, Patient Care Device and Radiology Domain, which are tied together with the transactions defined by the infrastructure domain. In the first step a patient is referred to an emergency department by a primary care physician. An HL7 version 3 CDA document, which is the standard “referral summary,” is exchanged with the hospital using a registry and patient information exchange server, typically implemented as a regional Healthcare Information Exchange (HIE). At the emergency department, the patient care device profiles are used to exchange several measurements such as vitals, which are automatically captured from the electronic devices and interfaced with the EMR to update the information. An X-ray is ordered and, following the traditional radiology scheduled workflow profile, the results and images are exchanged. After this episode, it gets even more interesting as our virtual patient is put on an infusion pump, and is continuously monitored. A simulated alarm causes the physician to adjust the patient’s medication. Again, the alarms are exchanged using the defined profiles so that in this case this information is exchanged between and through five different vendors. After the patient condition is stabilized, he is discharged and a summary report is exchanged with his cardiologist for follow up. This demonstration seems simple, but it included interactions between 13 different vendors, and it all worked seamlessly, which is a major accomplishment. In practice, institutions barely get three or at most four systems to work together. If you were at HIMSS, I surely hope you were able to make it to the connectathon and catch a glimpse of what hopefully is a not too distant future. It really is amazing to see what can be achieved by systems working together seamlessly as a result of open standards.